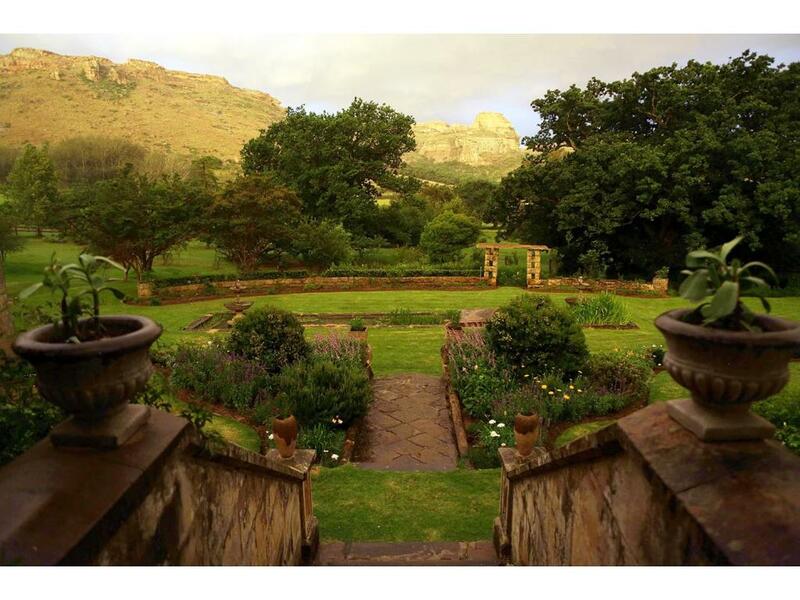 A Gentleman's Estate. 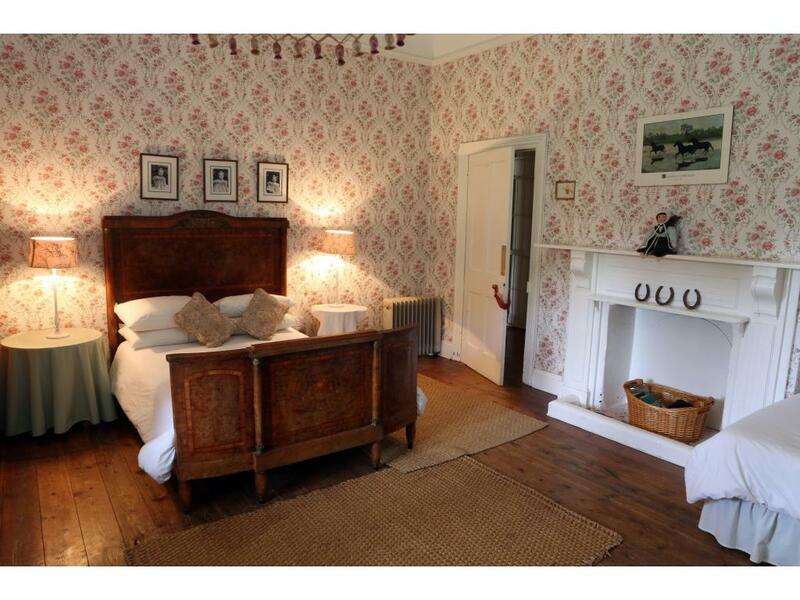 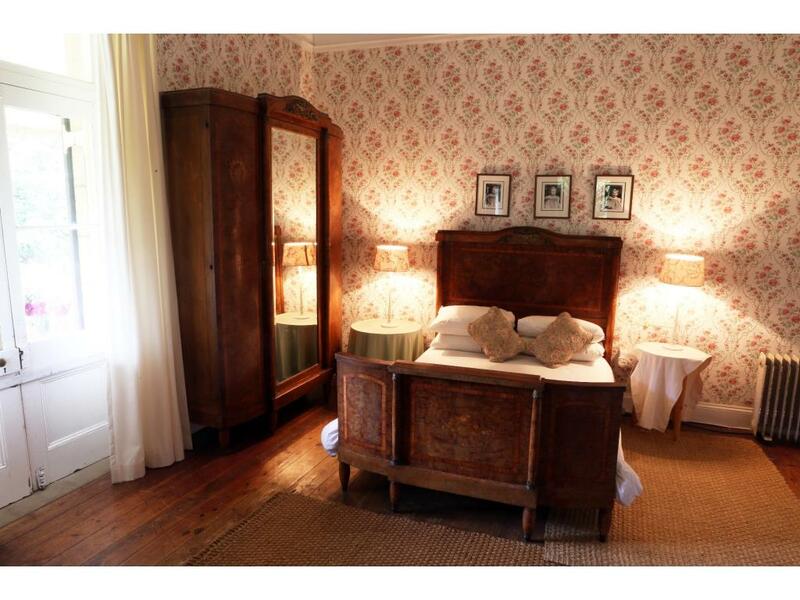 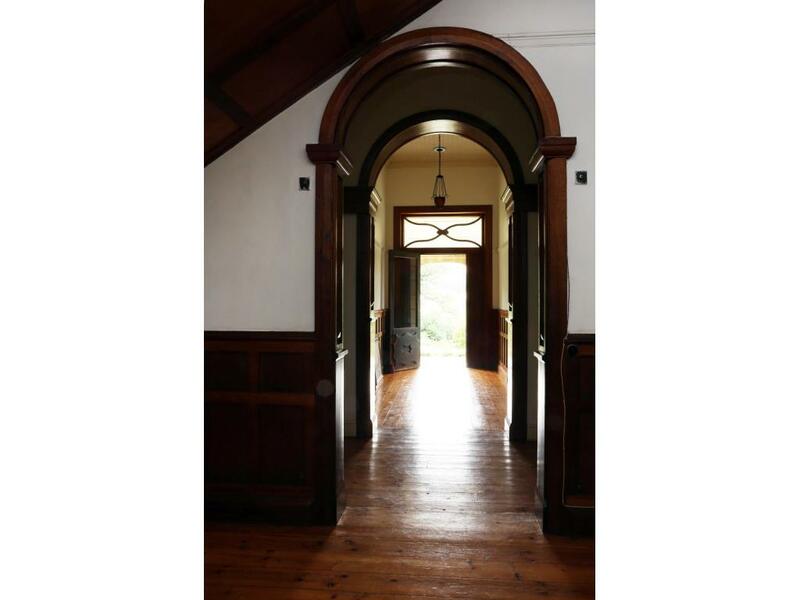 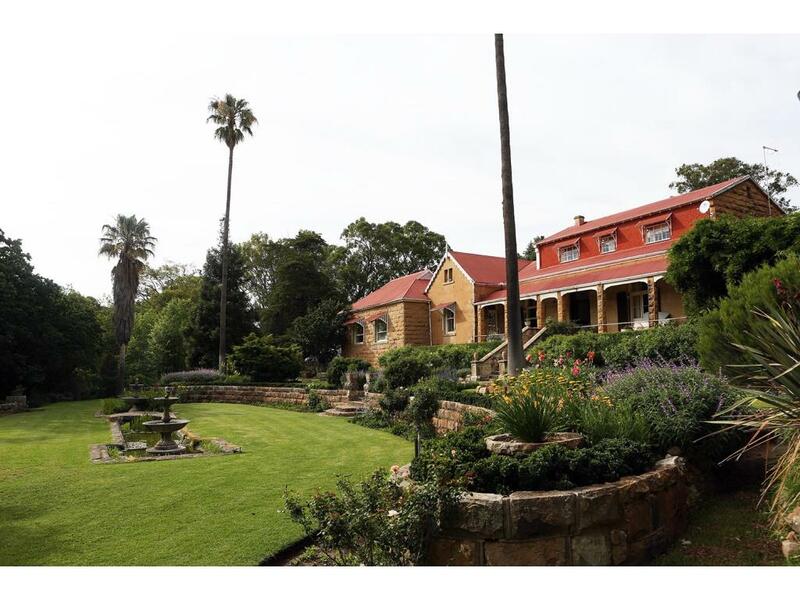 This stunning property consisting of a gracious old Manor House built in 1882, with a total of 10 bedrooms is ideal for a boutique hotel. 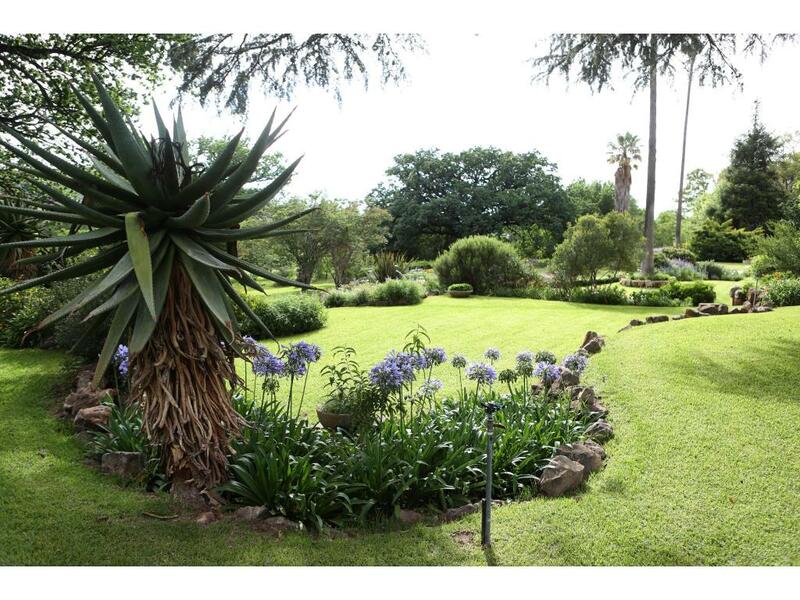 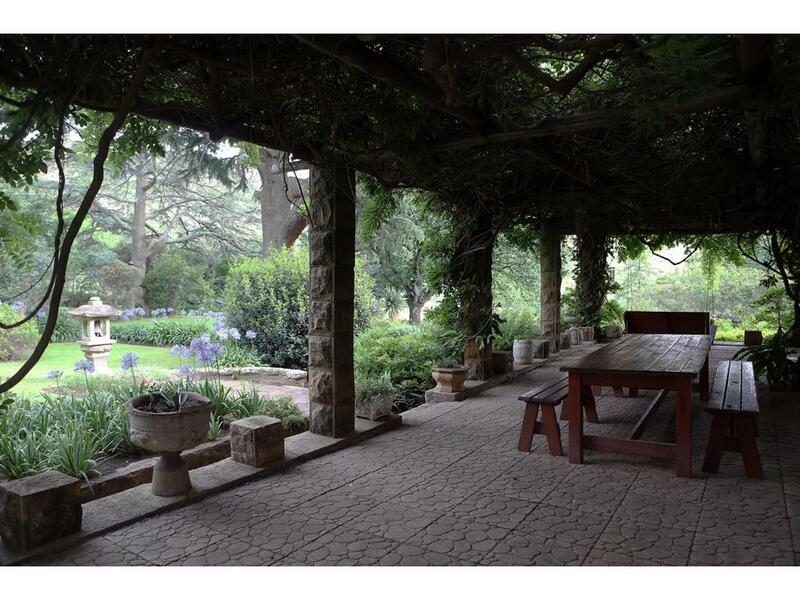 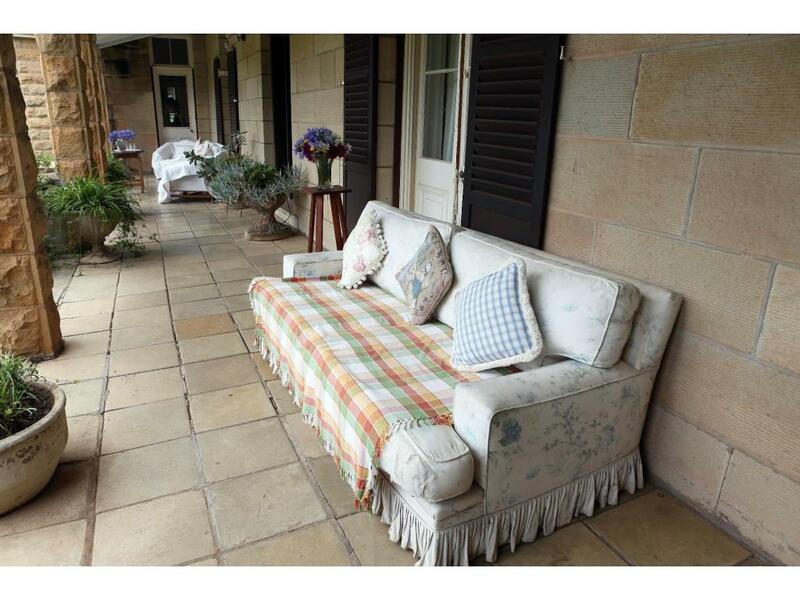 The extended gardens are meticulously and beautifully maintained. 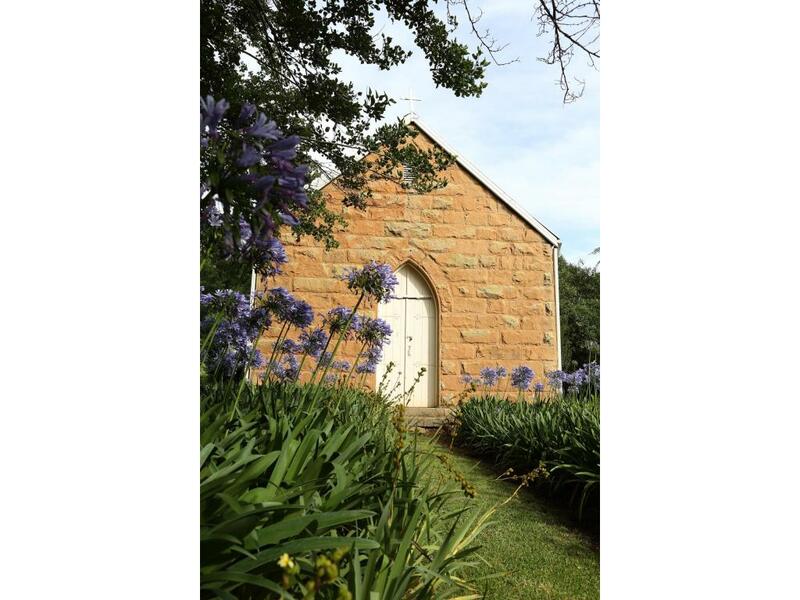 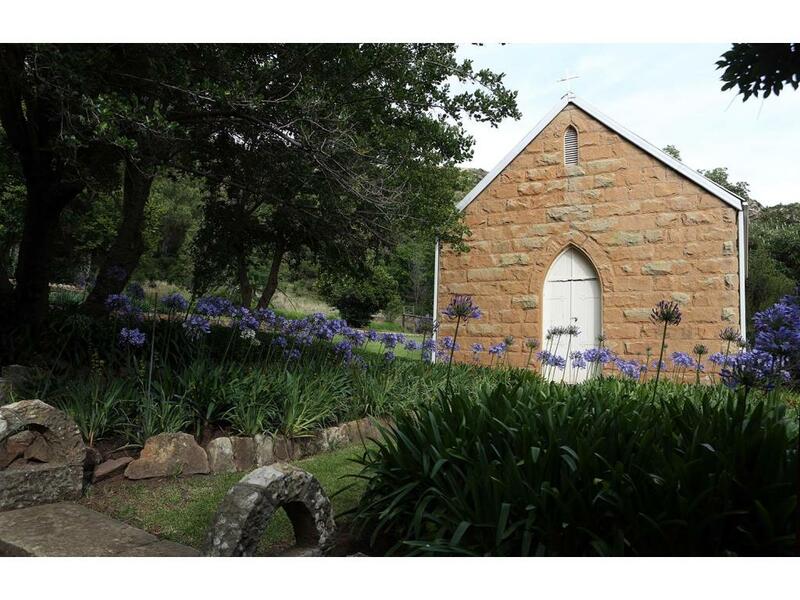 A coach house reminiscent of a bygone era, a separate cottage; as well as an historic small church makes this property a magical place. 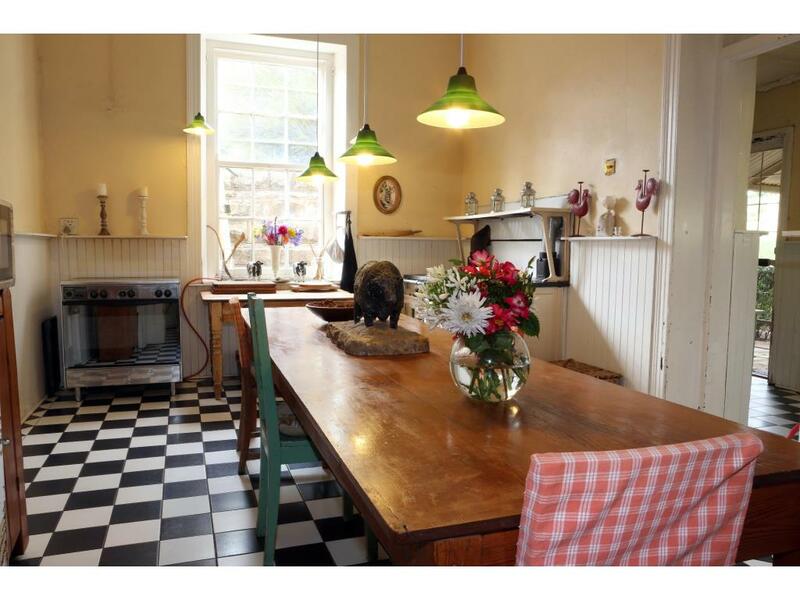 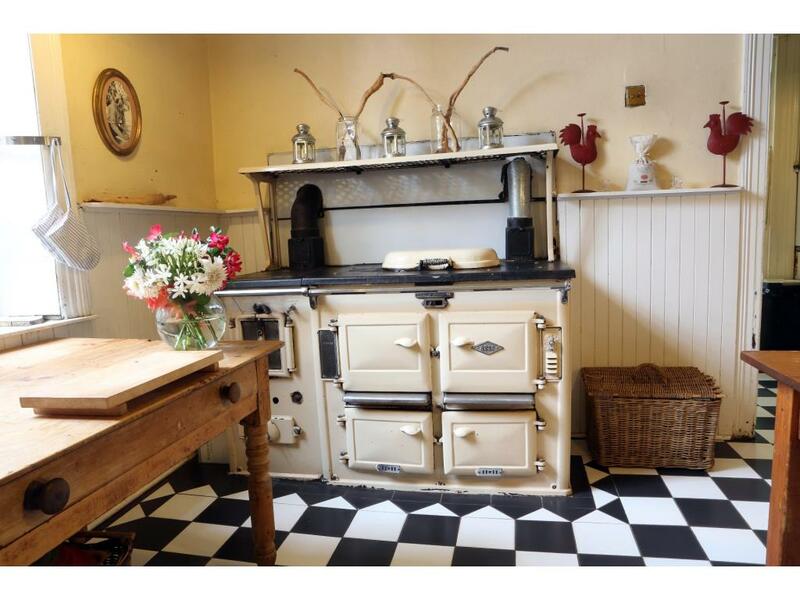 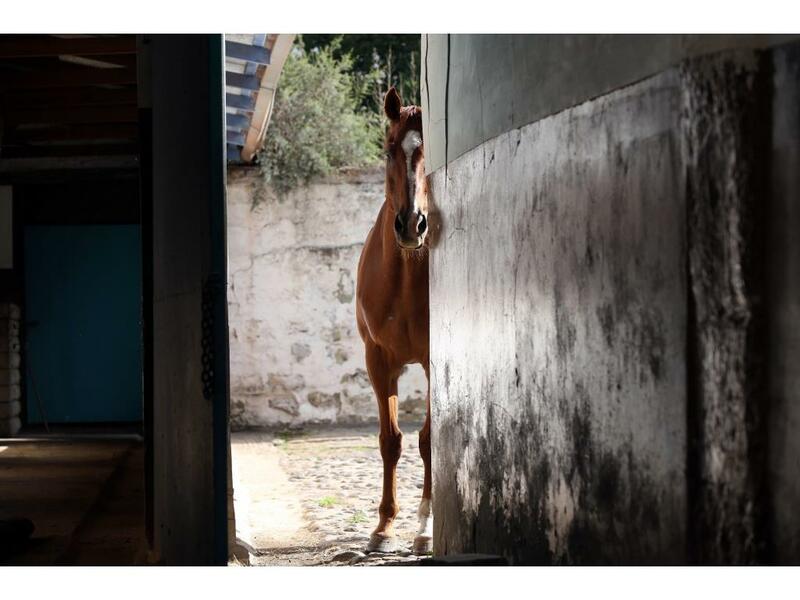 In addition there are three old staff cottages which can easily be converted, as well as extensive stables, barns and workshops. 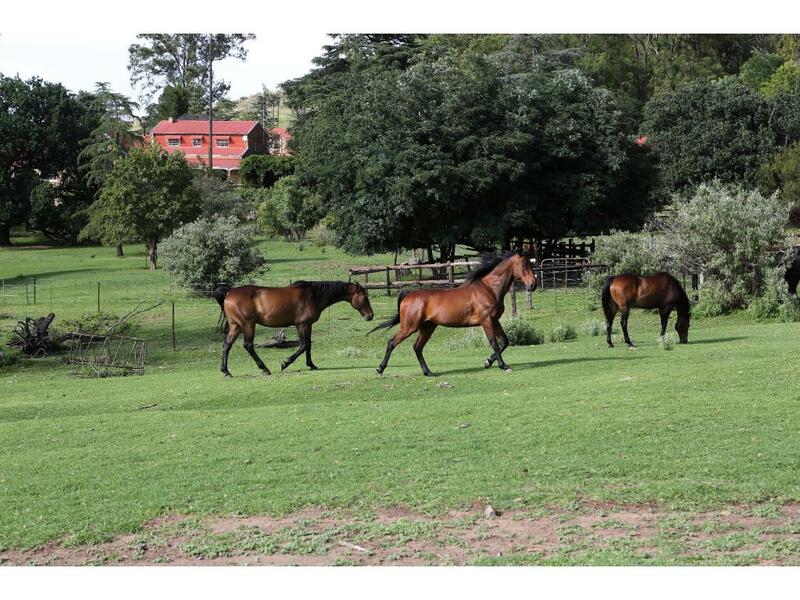 One of the businesses being run from this property is a retirement home for horses (This property used to be a racehorse stud). 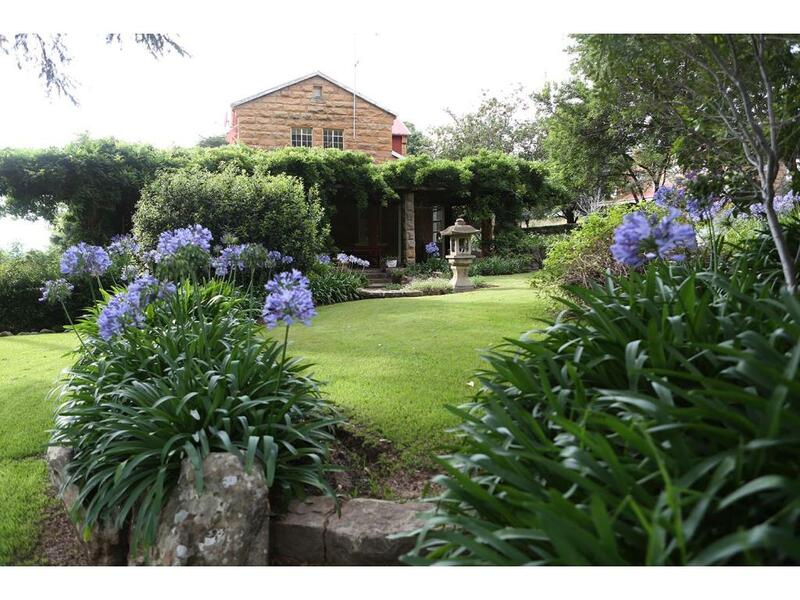 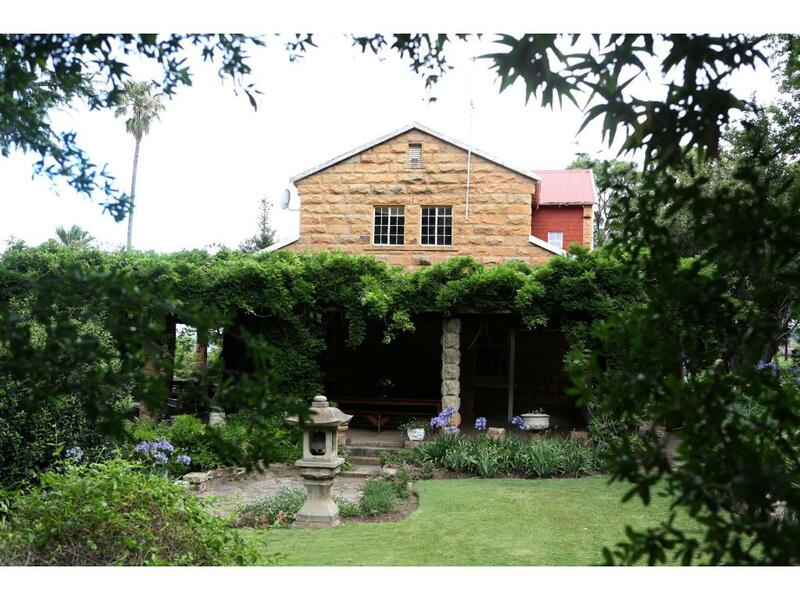 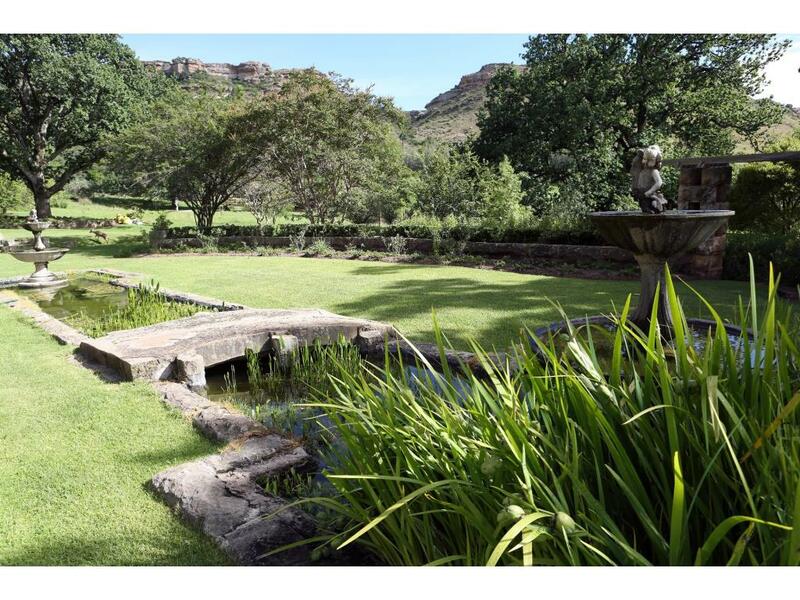 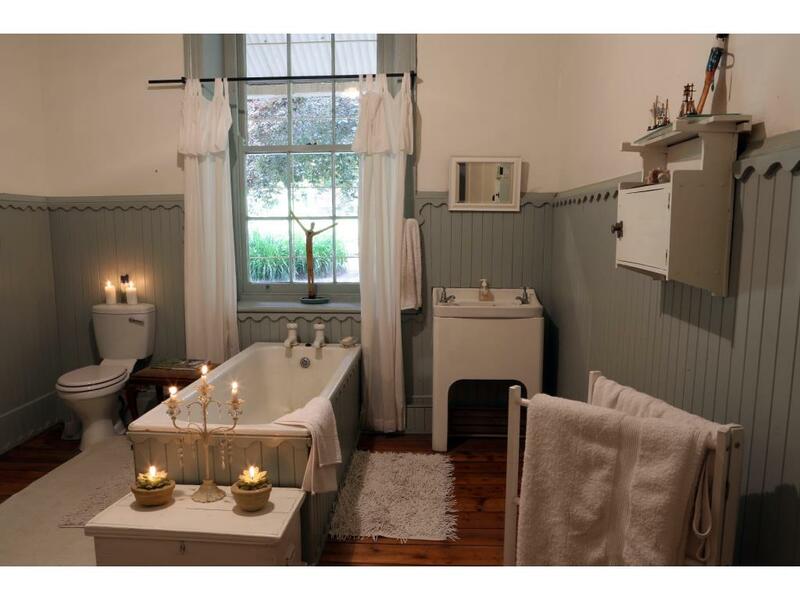 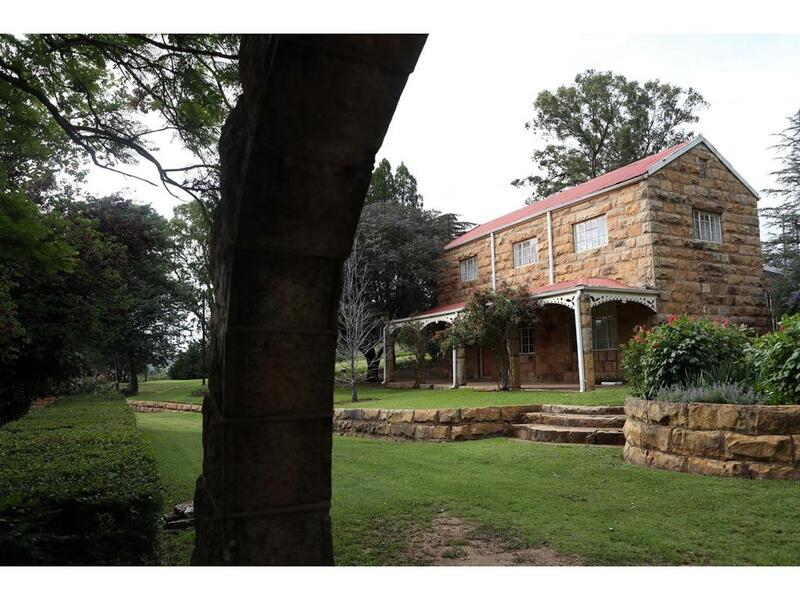 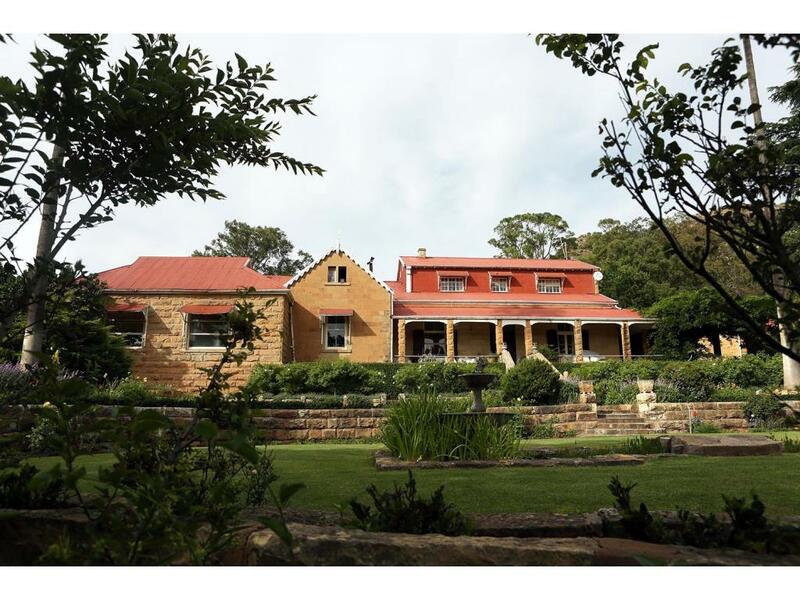 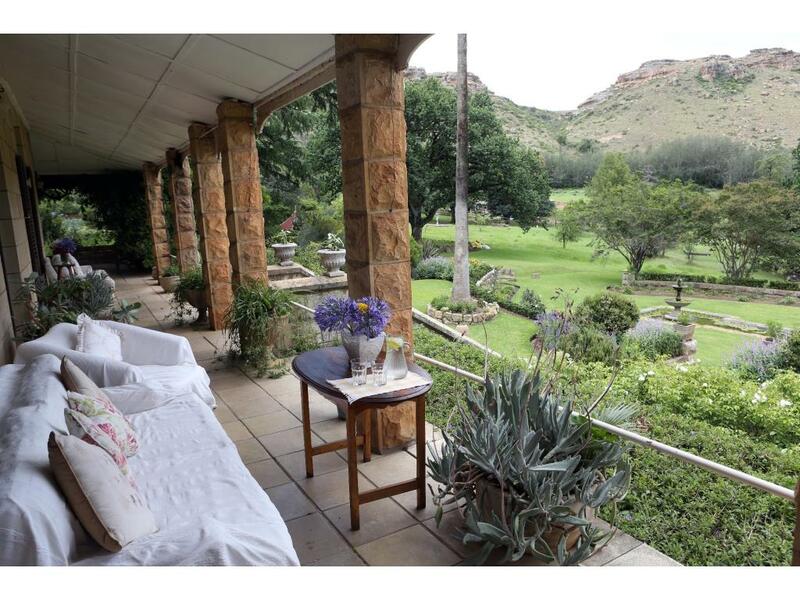 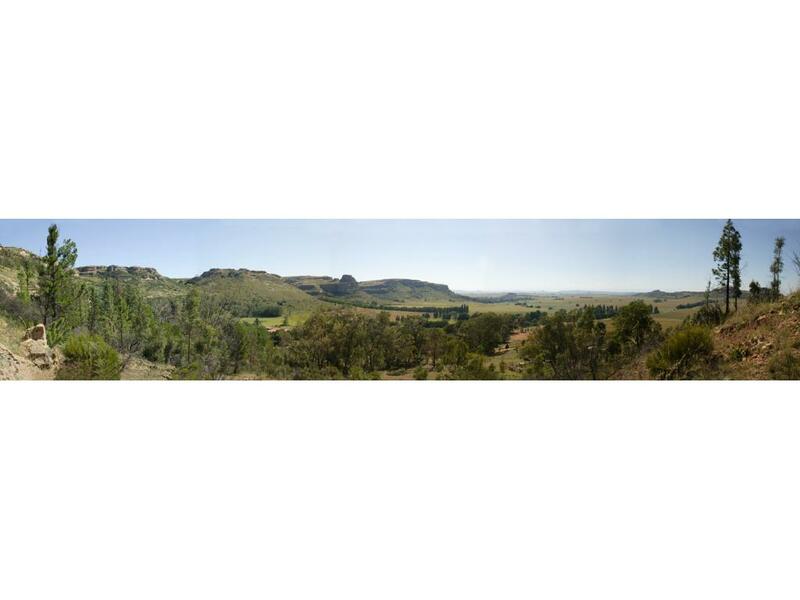 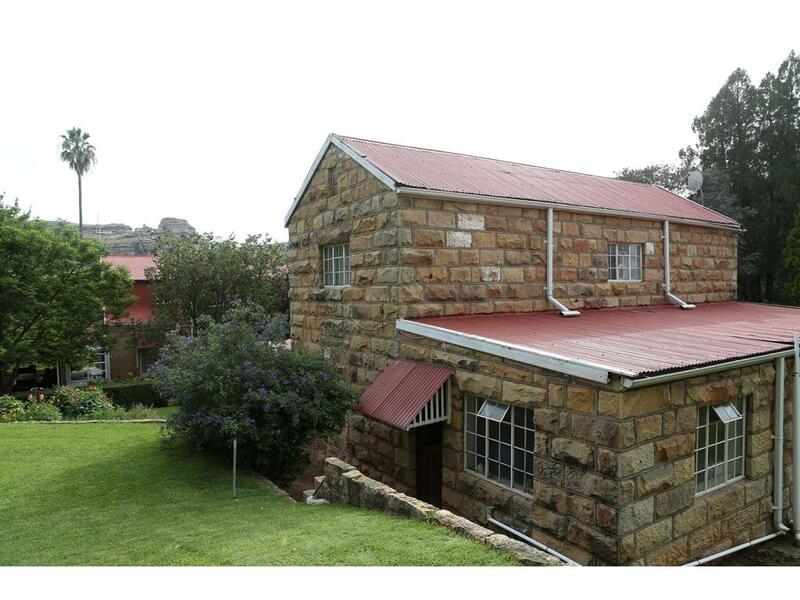 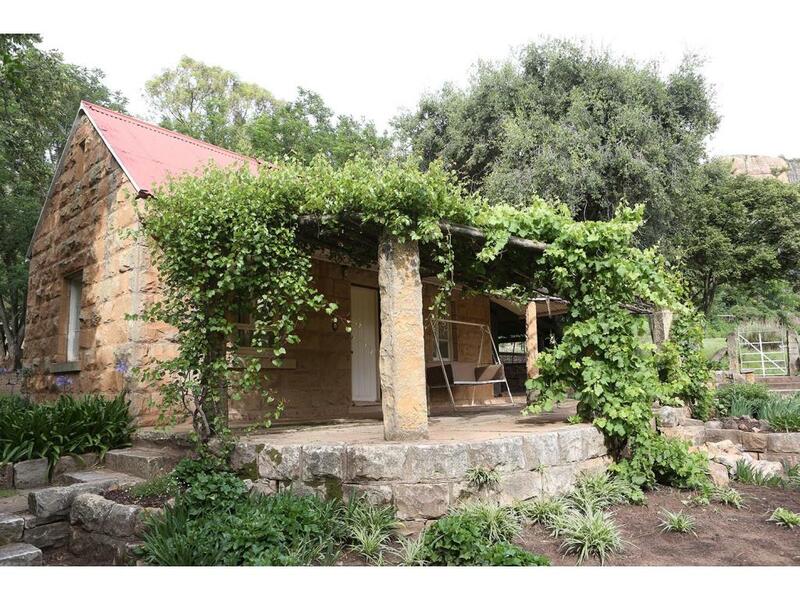 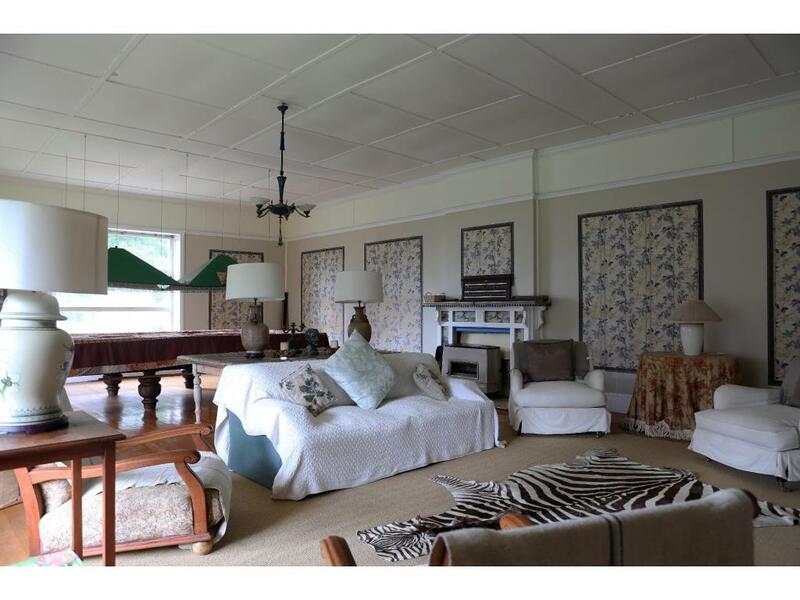 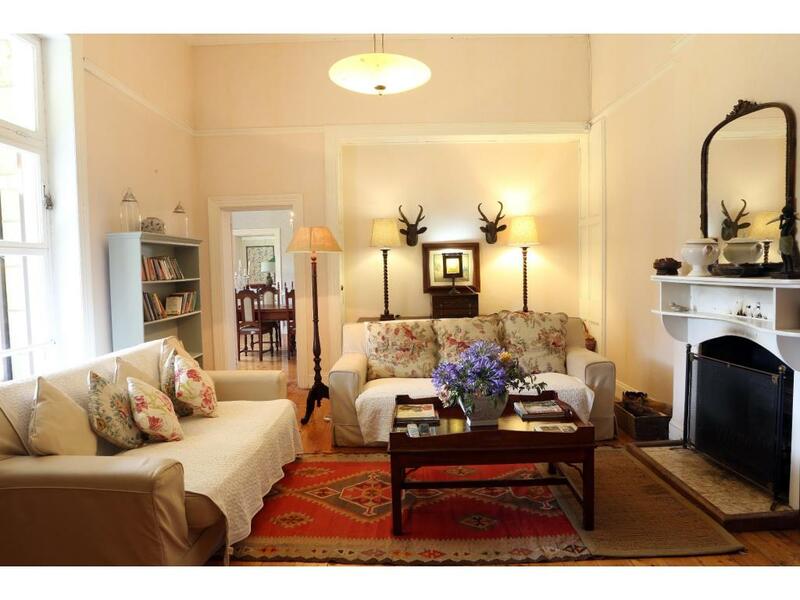 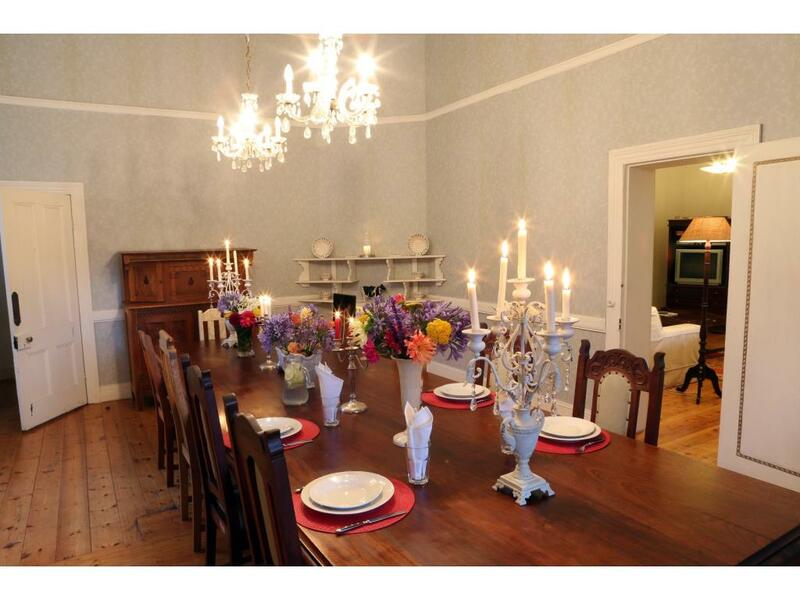 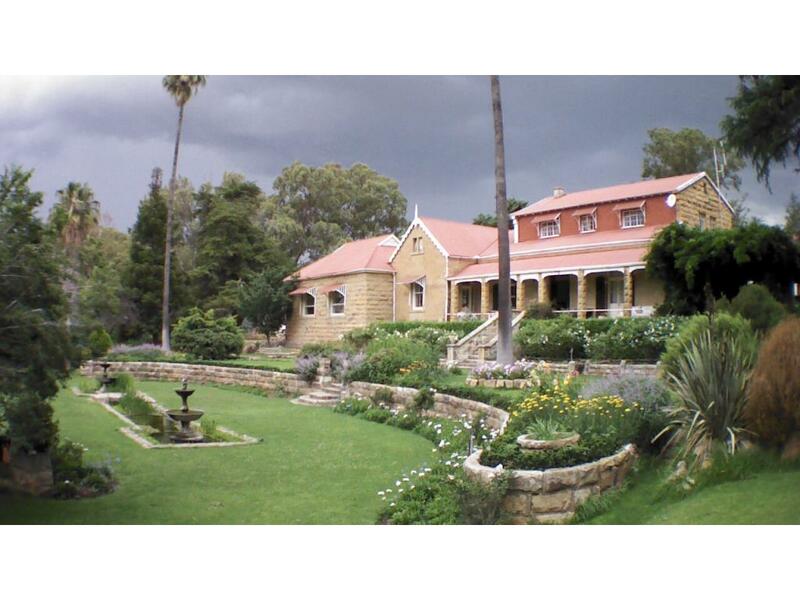 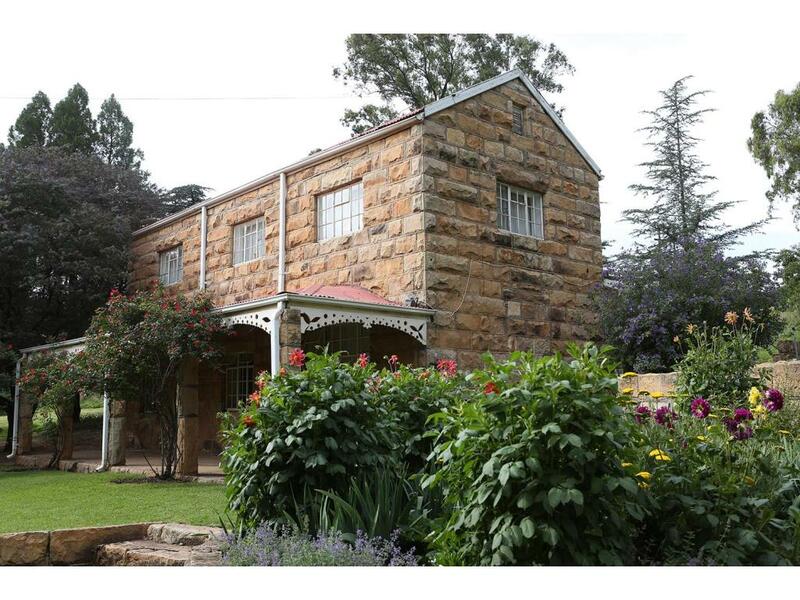 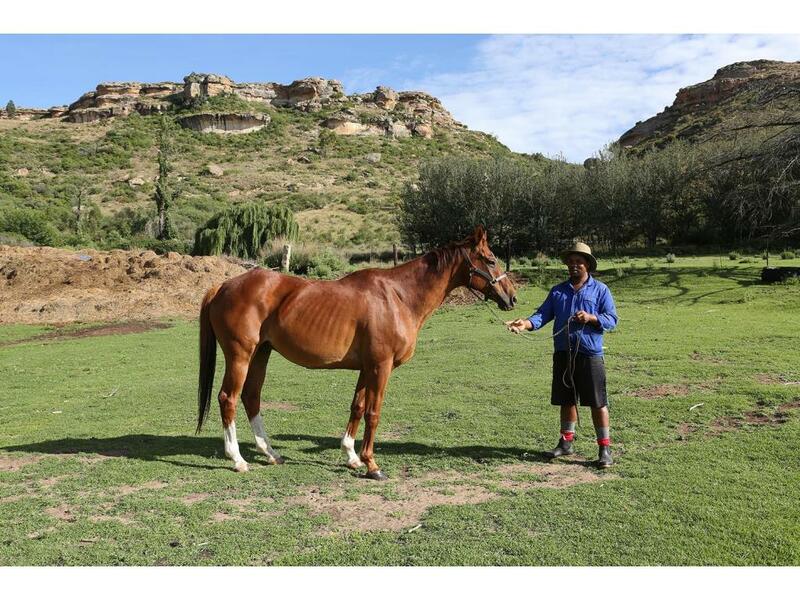 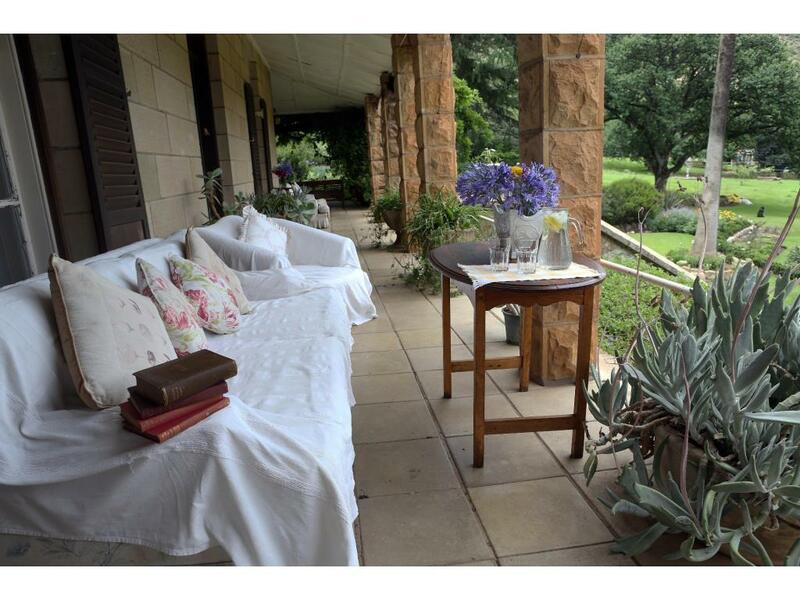 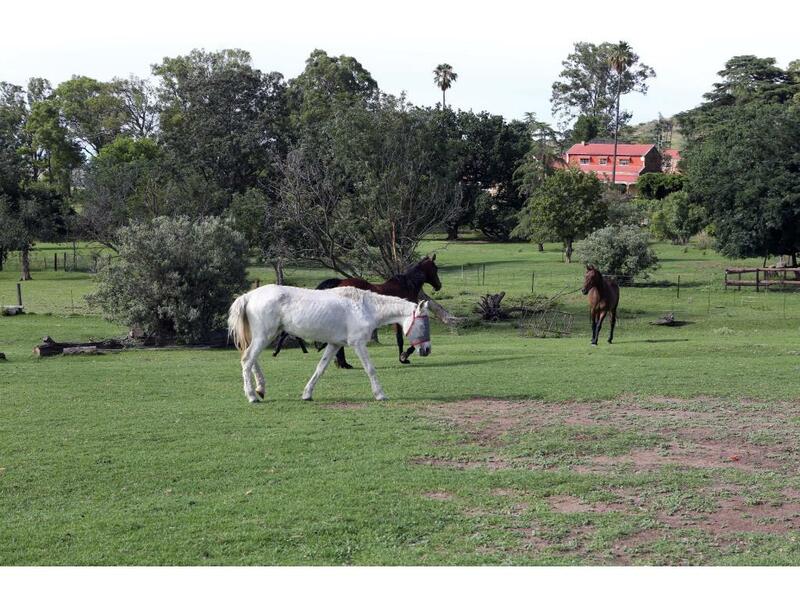 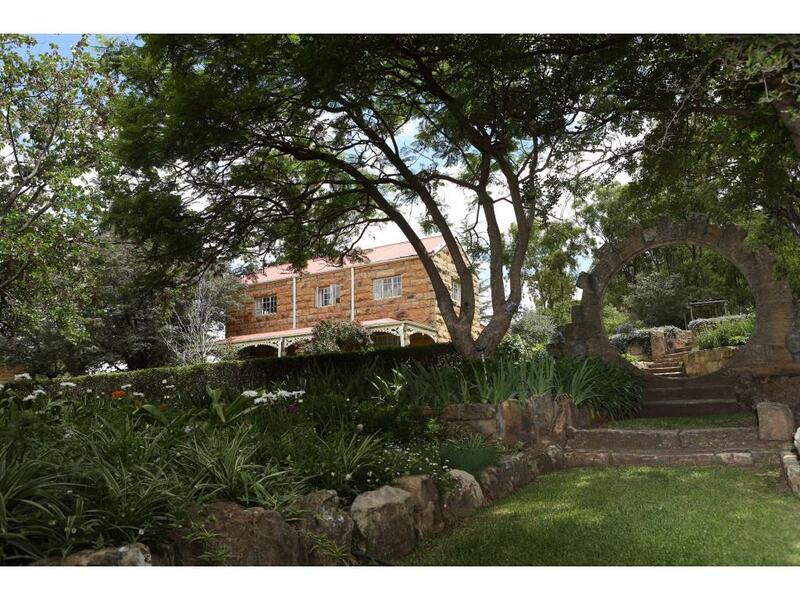 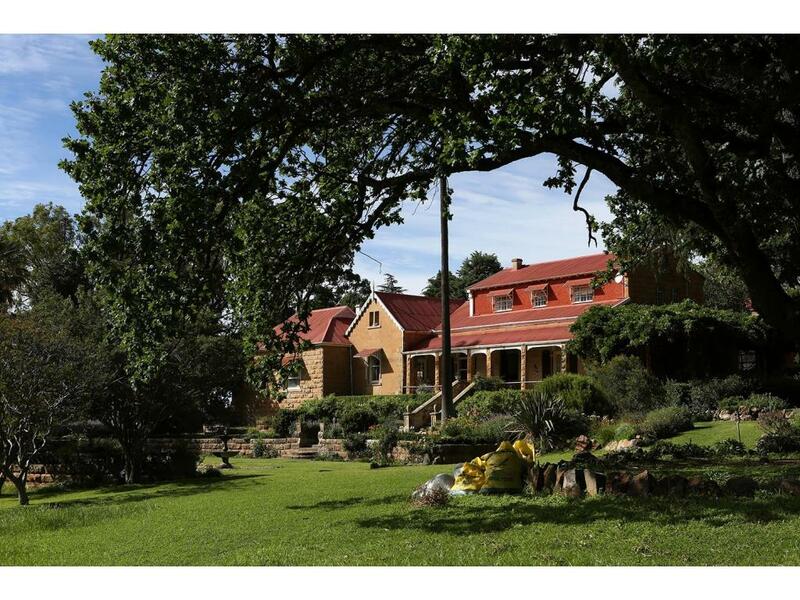 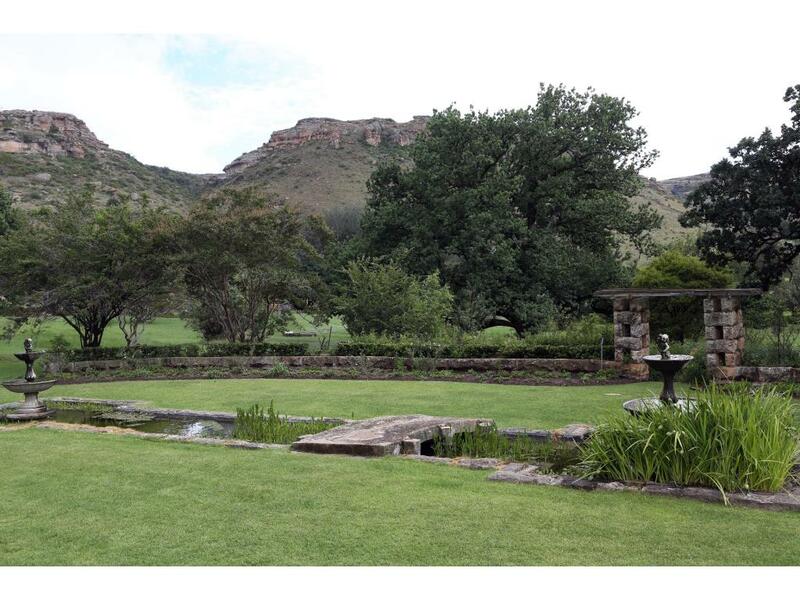 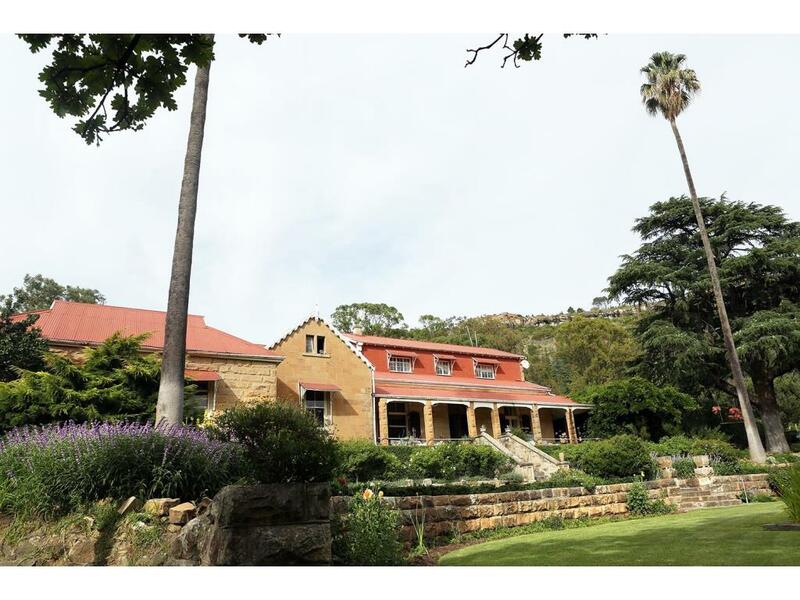 The homestead is beautifully situated in its own ring of mountains with a famous “Judges Head” and the views of the Maluti Mountains won’t disappoint. 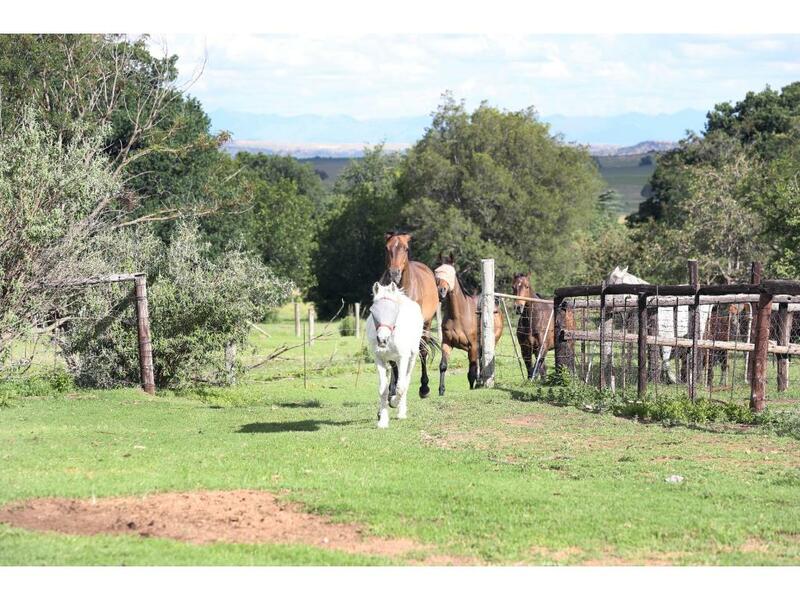 This farmstead is situated on 310ha, of which 125ha is prime agricultural land producing mielies, wheat, sunflowers, Lucerne, eragrostis and extensive grazing. 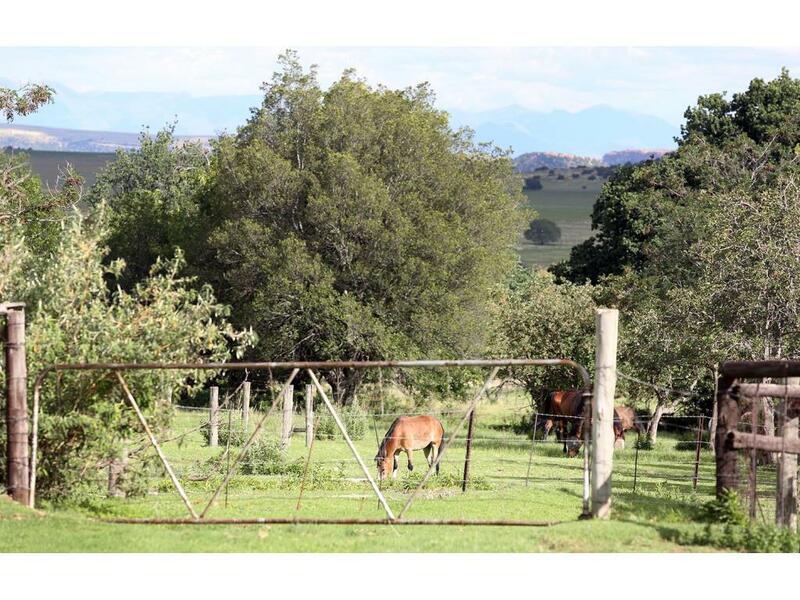 The property is being run as a going concern: running about 100 sheep (can go up to 400) farming Lucerne; and very gently beginning to run as a self-catering resort/country house.